It was anyone’s guess how well The Division would do. But even from the opening moments of character creation, reflected knowingly in a car door, it became clear that Ubi Massive hadn’t forgotten what first excited at E3 a few years ago. 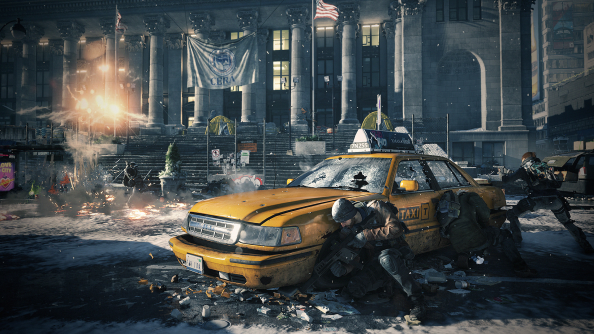 The co-op shooter slash RPG and its beautifully bleak New York has captured the popular imagination, and The Division has sold better than any other game ever released in the spring. The new king of Clancy has ousted Gran Turismo 4, which set the previous record 11 years ago. That also makes The Division the third biggest launch in Ubisoft history – behind only Watch Dogs and Assassin’s Creed III. Maligned games both, strangely enough. Before the weekend, the publishers announced that The Division had sold more in 24 hours than any other game in their catalogue – and broken their records for first day digital sales to boot. I spent a thoroughly enjoyable night last week mumbling tactics down a mic to a friend – but the bullet sponginess of The Division’s bad men seems to have divided opinion. What do you make of it?